As students gear up to head back to class, we are at the peak of back-to-school shopping season. 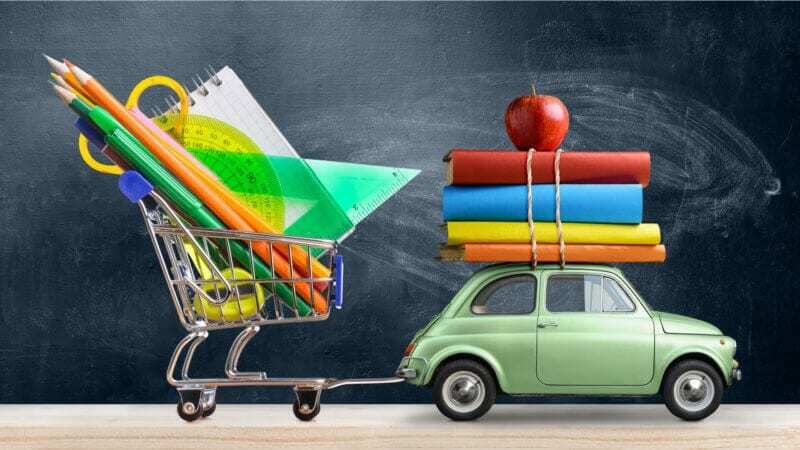 Starting in early July and lasting through September, Deloitte’s 2018 Back to School survey reports 90 percent of back-to-school shoppers are most active during the month-long period between late July and early August, with 67 percent of all “back-to-school” shopping dollars spent the first two weeks of August. The National Retail Foundation reported that $29.5 billion was spent on K-12 supplies during the 2017 back-to-school shopping season and that families with kids in elementary school spent, on average, $687. No wonder Pinterest, with its visual pins and boards of ideas and products, is positioning itself as the place for back-to-school marketers aiming to reach parents during this peak shopping moment. Citing comScore data from January 2018, Pinterest says that roughly 47 million US shoppers used its platform to find back-to-school product ideas last year and expects that number to rise this year. “With 80 percent of US moms and ~40 percent of US dads on Pinterest, there’s a huge opportunity for brands to reach parents while they shop for the new year,” writes Pinterest insights solutions analysts Eric Alessi on the company’s Business blog. The company adds that it reaches 50 percent of US college-aged students. For marketers, the platform has been relatively slow to build out its analytics and ad products compared to other social media platforms. That might be changing. In February, Pinterest hired its first COO, Francoise Brougher, to expand Pinterest’s global operations and advertising business. Since then, it has made Shopping Ads available to all advertisers and rolled out new wide-format video ads among other initiatives. A quick “back to school” search on the platform shows a number of major brands running campaigns, including Kohl’s, DSW, The Children’s Place and Shein. Other brands we saw running ads on back-to-school-related searches included H&M, FabKids, Toyota USA, Warby Parker ad Mochi Things, among others. 4C, a Pinterest Marketing Partner, says its clients are spending more on Pinterest. In Q2, “Ad spend on Pinterest increased 36 percent year-over-year through 4C, and offerings like Shoppable Pins continue to draw advertisers to the platform,” says 4C CMO Aaron Goldman. How does that stack up against other channels? Ad spend growth on Pinterest in Q2 outpaced that of Facebook and Twitter, which each saw 26 percent growth. Snapchat and Instagram, however, each saw ad spend growth accelerate year over year faster than Pinterest. Snapchat ad spend rose 45 percent among 4C customers. Instagram ad spend shot up 104 percent compared to Q2 2017. “While Pinterest’s highly targeted, inspirational content often gives consumers a quicker path to purchase, the influencer-dominated realm of Instagram provides intensely curated and visually captivating imagery from brands and individuals all over the world,” says Jehan Hamedi, the founder and CEO of the image performance AI software Adhark. In other words, the Pinterest demographic aligns well with the back-to-school consumer. Custora’s head of product management, Jordan Elkind, says Pinterest offers the perfect environment for back-to-school shoppers looking for inspiration. A customer analytics platform that utilizes customer data to provide acquisition and retention insights, Custora’s client list includes well-known brands like Crocs, J. Crew, Kenneth Cole and Lucky Brand. Like Instagram, Pinterest also offers advertisers the ability to retarget site visitors, upload customer lists and create lookalike audiences for targeting. The post Pinterest says it will attract some 50M back-to-school shoppers this season appeared first on Marketing Land.